A fresh and popping coat of paint on a bedroom or living room wall can give your space a new style. However, a shoddy job of applying the paint to the wall really shows. 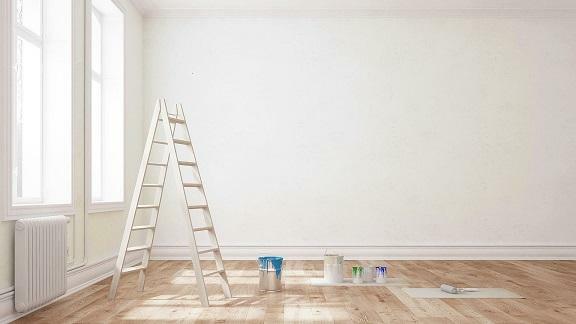 In fact, Do-It-Yourself painting projects, like any home improvement project, can quickly turn into an expensive mess. 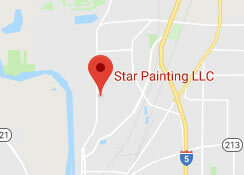 For quality interior painting in Dallas, OR call the pros at Star Painting LLC. Our painters are the best choice for homeowners in Dallas, Salem, and elsewhere in the Mid Valley. Since 2015, our reputation in painting and home improvement has earned us dozens of awards, including back-to-back gold medal recognition from Best of the Mid-Valley since 2015. No other painter service can match our standards of achievement, especially when it comes to interior painting. Our painters know quality paint when we see it. That’s why we use different types of paint from Sherwin-Williams and Rodda Paint as top choices for interior or exterior painting. You choose the colors, textures, and formulas. We’ll make these colors come alive! Prep and Cleaning: Any furniture or other objects get moved out of the way for a clean job, like adding primer or removing any chipped paint. Dropcloths and Protective Materials Every edge is taped with precision, and every space is covered with a drop cloth to protect your belongings. You won’t find a single speck of paint in the wrong place. Color Consultation and Color Matching: We offer help and expertise with choosing the right color combinations for your room. Doors and Frames: We maintain a strict degree of professionalism by painting straight and flawless edges. Walls and Ceilings: The difference is clear when you go with a professional painter who can distribute paint evenly along a wall or ceiling. Our clients in Dallas, Salem, and elsewhere can depend on our promise of detailed and high-quality finish. We take extra care in protecting your furniture, trim, doorknobs, and other aprts of your home from paint. The result is a seamless appearance and a colorful interior. Along with interior painting services, we also do exterior painting and no-obligation consultations for our prospective clients. Call us today!